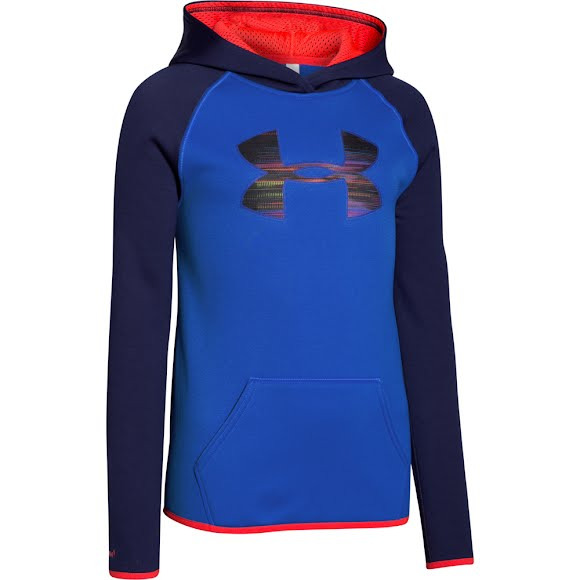 Ultimate style meets great performance with the girl's Amour Fleece Big Logo Hoodie from Under Armour. This hoodie features Armour Fleece construction that delivers a brushed inner layer and a smooth, quick-dry outer layer as well as having UA's signature Moisture Transport System that wicks sweat to keep you dry and light. Ultimate style meets great performance with the girl&apos;s Amour Fleece Big Logo Hoodie from Under Armour . This hoodie features Armour Fleece construction that delivers a brushed inner layer and a smooth, quick-dry outer layer as well as having UA&apos;s signature Moisture Transport System that wicks sweat to keep you dry and light.